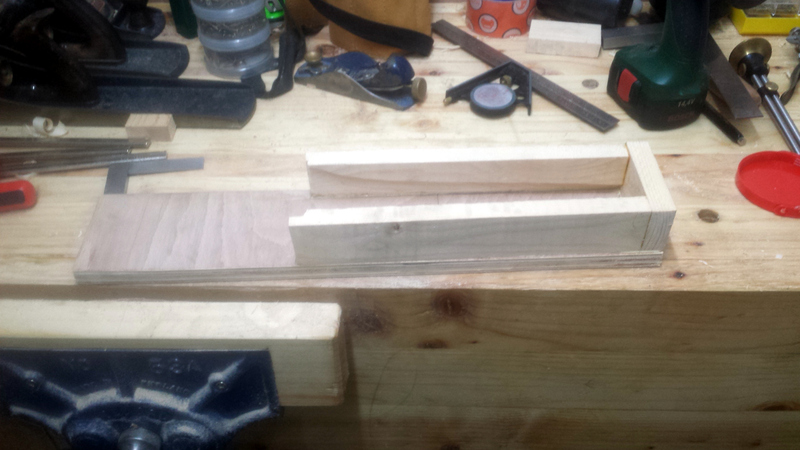 Thing about having a workbench is, you work on it. And thing about having tools and working on a workbench is, the tools wind up everywhere because you don’t stop and put the tool you’re using away immediately as you’ll be using it again in 90 seconds or less. So the bench gets… cluttered. So tool storage in an accessible place is a must. Hence all the tool cabinets on the walls of those fabulous wealthy shops on the youtube, and the existence of an entire industry of book publishing devoted to the topic of building toolboxes and the like. Well, I’ve got a wall in front of me, so that’s where the most commonly used tools need to go, and the biggest and most space consuming are the hand planes. I liked one youtuber’s solution to storing those, so I built one. It’s based around having a lump of wood with a curved rebate cut out of it (the curve is simple enough that two saw cuts and a bit of chisel work gets it in less than five minutes by hand, it’s actually faster than doing it by machine). 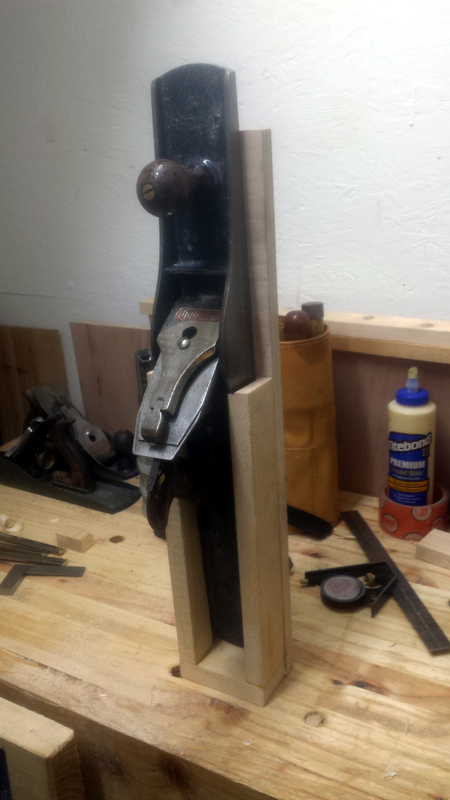 Then you screw that plywood backer to the wall and viola, a holster for a #7 plane. Next Post: The united church of hand tools?